Ilan Shamir founded Your True Nature, a company that produces nature-themed gifts, about 20 years ago. His daughter, Laurel Alyn-Forest, is now helping to run the company and she also serves on IDA’s board. 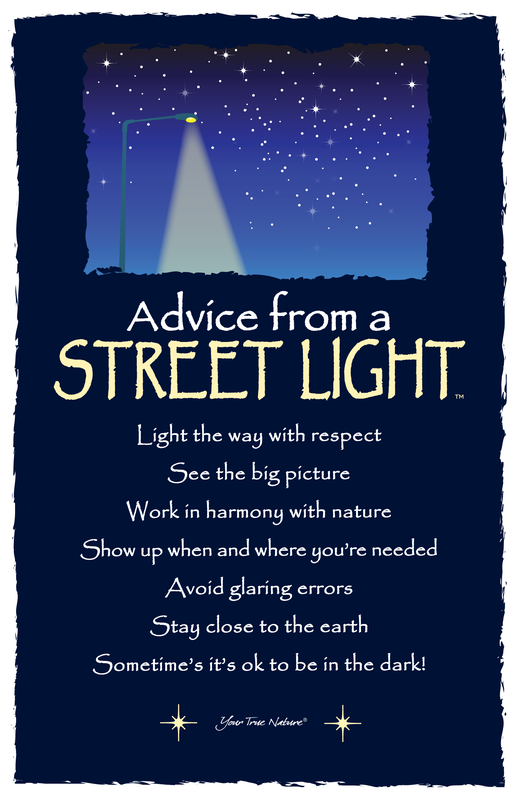 Alyn-Forest seems to be living a line from a piece titled Advice from a Street Light, a co-branded postcard produced by Your True Nature for IDA’s 2017 Annual General Meeting: “Show up when and where you’re needed.” She grew up packing bookmarks for the family business, then went away to college, and returned to help run the company three years ago. Im 2010, Your True Nature began supporting IDA through the Corporate Sponsor program. The company supports IDA in other ways too, like the postcard produced for the meeting, sponsorship of events, and donations of products. IDA is Your True Nature’s longest standing partner, and the win-win relationship has become a model for the company to support other non-profit organizations. Over the years, Your True Nature has developed about 10 other partnerships with organizations that are in alignment with their company mission. The company seeks to do good, give back, and inspire. The company’s owners are always looking for ways to successfully support like-minded organizations. Alyn-Forest says that her family’s company and products are “about celebrating nature and interpreting its wisdom.” They have seven employees and their products are featured in about 10,000 stores in the US. With attractive, informational, and scientifically-accurate designs, Your True Nature products communicate a message that intends to make people think about what they are seeing in nature. Their artcards, bookmarks, magnets, stationery, and T-shirts can be found online, and in many National Parks, gift shops, and book stores across the country. The company thinks outside the box about how to reach people with an important message, such as how to reduce light pollution. They find that breaking the ice with lighthearted messages, like the postcard produced for IDA, can help to convey a deeper meaning. And it looks like Alyn-Forest is putting into practice an inspiring line from the company’s piece called Advice from the Night Sky: “Expand your horizons.” After initially wondering if she was qualified for the position, she recently joined IDA’s board of directors. She wants to help promote IDA as much as possible and sees her role on the board as a way to strengthen the partnership between the non-profit and the company she helps run. “Partnerships are key to our success,” says Alyn-Forest. Maybe she learned this from her company’s Advice from a Honey Bee postcard, which suggests, “Work together.” The owners of this family business appear to have taken this advice to heart, creating synergy from a mutually beneficial relationship with IDA. To learn more about IDA’s Brand Partners program, check out The Business of Being a Community, or visit https://www.darksky.org/about/brand-partners/. IDA does not endorse the products or services of its Brand Partners.